That last one always made me (inwardly) howl with frustration whenever I heard it, but I know you evidence-seekers won’t have ticked that one. It would be great to tick the first three, but can you? There might be more howling over those. 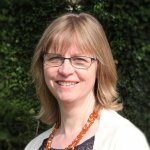 I was rather shocked (ok, call me naïve) to discover that reliable evidence supporting the replacement of peripheral venous catheters only when clinically indicated, duly recommended by the UK’s epic3 National Evidence-Based Guidelines as being both safe and cost-saving, had not translated into practice in some hospitals. This came to light in a lively #WeNurses tweetchat on the evidence and you can catch up with it in this blog. I’ve also blogged here about evidence from a number of Cochrane reviews on different aspects of infection prevention for people with CVCs but since then we’ve seen the publication of more reviews, including this one on skin antisepsis. Was that on your list? Here in the UK, NICE guidance (epic3 again) recommends cleansing with chlorhexidine gluconate in 70% alcohol, or povidone iodine in alcohol for patients sensitive to chlorhexidine (tick). Can we tick off evidence of effectiveness? The review brought together data from 12 randomised studies with 3446 CVCs (number of patients unknown), comparing different skin antisepsis regimens with each other and with none. Whilst there is nothing here to overturn the guidance, the evidence is mostly low or very low quality and, beyond saying that chlorhexidine solution may be more effective than povidone iodine, any questions about which regimen is best or whether skin antisepsis benefits patients are left unanswered. Antimicrobial dressings for newborns with central venous catheters – more harm than good? Another recent review explored the evidence on antimicrobial dressings to prevent CVC-related infections in newborns, hoping to establish whether they are both effective and safe. Three randomized studies were included, with 855 infants from neonatal intensive care units; the majority of babies were in one large study. Moderate quality evidence showed that chlorhexidine CVC dressing with alcohol skin cleansing carried a high risk of skin irritation and only modest reduction in catheter colonisation, without benefit in terms of clinical outcomes such as catheter-related bloodstream infection. The potential benefits and harms of silver-alginate patches remain unclear. How often should you change CVC dressings? The Cochrane review addressing this question for adult patients was updated this year and found that there is still insufficient evidence to know whether the frequency of dressing changes has an impact on catheter-related bloodstream infection, catheter site infection, death from any cause, skin damage, pain, quality of life or costs. That’s a pretty big evidence gap on something so basic! So, you can tick that you’ve got up-to-date on the latest evidence from Cochrane on these aspects of caring for patients with CVCs (and don’t forget there’s more in the blogs mentioned above) but no ticks for reliable evidence of effectiveness. Researchers in this field must have a long ‘to do’ list. What do you do in your clinical area? Let us know! You can join in the conversation on Twitter @SarahChapman30 and @CochraneUK. Do sign up for our digest for our Evidence for Everyday Nursing Series (#EENursing) and for Evidently Cochrane here.